← Blogiversary LAL: Part 3! Woohoo…you’re getting there! You’re almost done…it’s a real quicky of a project! 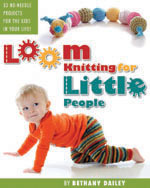 This entry was posted in Blogiversary, Book Progress, Free Loom Patterns, Loom Alongs, Loom Knitting, New Projects, Tutorials. Bookmark the permalink.